Thanks for the re-post. I have found that using four graphs together to be a more effective way of getting the message across. 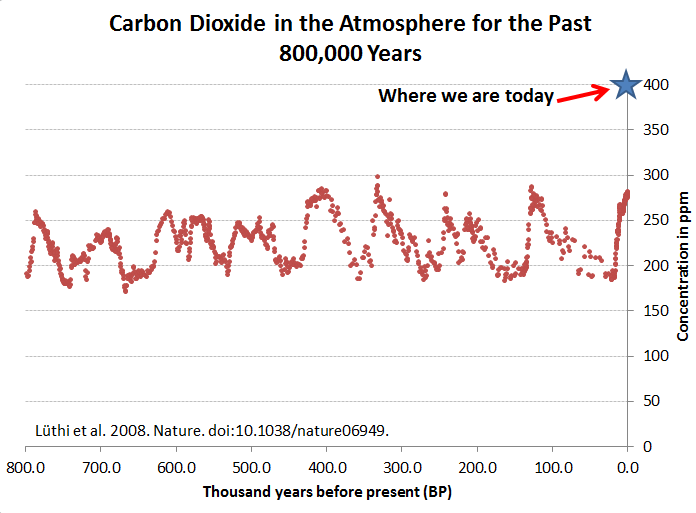 I start with the annual carbon concentration numbers so that listeners/readers can see that we actual measure the cycle (watching the earth breath if you like), I then put up the keeling curve from its beginning to show the unmistakeable trend of my generation (I am 60) and then move to the past thousand years century and finally to the graph that you have above…drawing particular attention to the fact that the increase of the past century now merge with the vertical edge of the graph. The first graph is the most important. 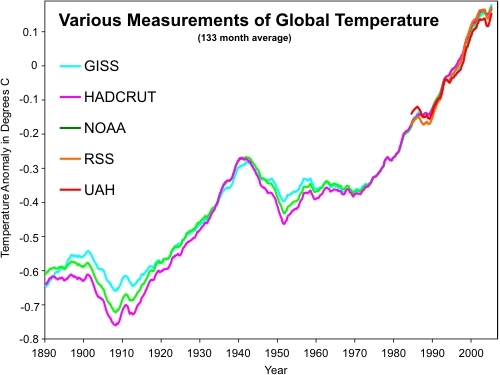 People especially those living in the northern hemisphere instantly understand what is going on and better understand the dramatic change evidence in the last graph when linked to the fact that we know what is happening through the year.